1 Credit will cost approximately £1. Minimum quantity you may buy is 25. The system is based on "pay for usage" - Bandwidth, Storage and Emails sent. We do not charge for the software itself, and it is available only from our private cloud servers. 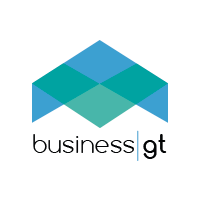 All standard users are FREE - this includes an email account (and 100 system emails per day) accessible through the BusinessGT interface. You must buy credits in advance, and retain a minimum of 2 months credits for future usage. To test your VAT logon, you need only 2 credits in the BGT system. To use the VAT filing you need to have 10 credits in the BGT system. Master Administrators see total usage at any time in Charges & History. Master Administrators buy credits on the BusinssGT web site - they will automatically be put into your BGT system. Your Master Admin username and password will work on the BusinessGT web site (it is how we know who you are). See the usage (bandwidth and processing) details by person by day in the Admin->Usage Audit Log. See the file storage sizes at any time - Admin-> Database Size Manager. •Your system may send up to 100 emails daily Free (receiving email is free). •1 credit for each part of additional 100 emails sent, daily. A Micro-business - of one person and a book-keeper (say) - is likely to require less than 300Mb of bandwidth/processing, and less than 250Mb of storage - so they will normally enjoy the system entirely without any extra charge. In a year, a small business should expect to consume around 100 credits, with up to around 5 staff. For the vast majority of clients the system will cost less than £24 + vat per year, complete. Learn more on how charging works. Telephone help desk support is 1 Credit a minute, with a minimum of 10 Credits charge. There are numerous really great optional extras. We also offer higher levels of service - see the shop for more details. use multi-options, or with heavy use! starts at 2 credits a month (less than £2). in order to Buy Credits. filing for MTD VAT now Live & operational. You will receive 4 free Credits as your system is set up (2 months' charges). 1 credit a month for Storage, and 1 Credit a month for Bandwidth/Processing. So for most businesses, the entire system will cost 2 credits a month (less than £25+vat per year).